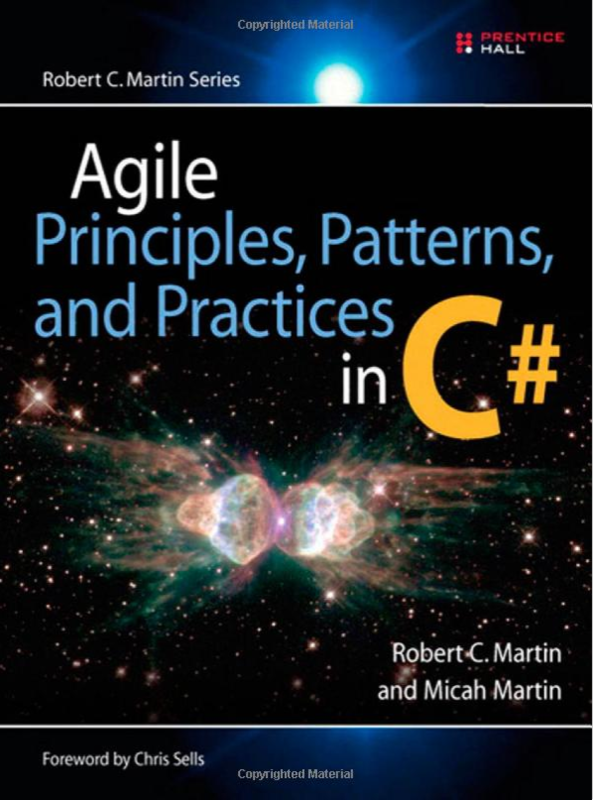 I have been reading Robert C. Martin’s and Micah Martin’s book, Agile Principles, Patterns, and Practices in C#, for quite a while now. The reason it has taken me so long to finish is that it is packed with so much information and covers so many aspects of software development, enough for at least 3-4 different books of their own. The book begins with a section on Agile Development which covers topics such as Agile Practices, Extreme Programming, Planning, Testing, and Refactoring. It continues with a section on Agile Design where the famous SOLID principles are covered and also covers UML and how to effectively work with diagrams. In the third section a number of design patterns are introduced and the practices learnt so far are put into practice in a case study. Finally, the fourth and final section covers Principles of Package and Component Design (REP, CRP, CCP, ADP, SDP, and SAP) and introduces several other design patterns. It ends with a lot of code examples where database (SQL) support and a user interface is added to the application introduced in section three. Even though the book is over 10 years old it is still highly relevant. Agile software development, good practices and principles, and patterns for OOP, are skills that all software developers today will benefit from educating themselves on. There are tons of online material, classes, and other books that covers these topics, but I don’t know of any other resource that have all of it in the same place. With that said, I highly recommend this book. But to get the most of it you need to be prepared to put a lot of time and focus on reading it and really understanding the reasoning behind the principles and patterns. Personally I had to re-read some sections and take notes while I was reading, or I felt like I didn’t get all the details. It might be helpful to buy some copies to your workplace and run it as a book circle so that you get to discuss the contents with other developers.